Atlantic Cable is the leading service-oriented, wholesale distributor/manufacturer of computer cables, networking products and accessories on the east coast. We have a "No Order Too Small" policy, stock only quality products and get them to you for a reasonable value. Atlantic Cable also provides options for your custom cable manufacturing requirements. We have a fully staffed production area capable of producing small quantities of specialized cables. We also have our main factory in China able to make custom configurations in as low as 100 piece quantities. Our China factory produces our stock line of molded cable assemblies. We stock a complete assortment of premise cabling systems. The line includes wallplates, telco products, racks, fiber assemblies patch panels and more. We carry products that support your LAN/WAN requirements. Ethernet, Arcnet, Token Ring and Fiber hardware and connectivity are also stocked. We distribute products from Manhattan, I.C. Intracom, Signamax, Middle Atlantic and many more and many more. Check out our links page for information on their sites. Our approach to doing business at Atlantic Cable is simple. We believe in knowledgeable, helpful sales consultants, reliable in-stock products and unsurpassed technical support. We are eager to develop a relationship with you. If you give us 1% of your business we'll earn the rest. Thanks for visiting our website. Atlantic Cable is the leading service-oriented, wholesale distributor/manufacturer of computer cables, networking products and accessories on the east coast. At our Southern NH location, delivery on the 1000's of products we stock is available to you overnight at low ground shipping rates. We can also ship direct from our warehouses in New Jersey, Florida and California as needed. We have a "No Order Too Small" policy, stock only quality products and get them to you for a reasonable value. 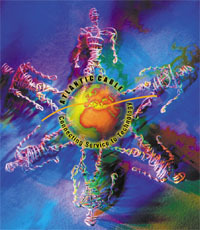 Atlantic Cable is founded in a one-room office in Salem, NH. The concept is to provide a local, service-oriented wholesaler for resellers of computer cables. Most of the first year is spent in product R&D. Initial test markets and client inquires prove very receptive. Atlantic Cable begins its vision of the "One Call Does It All" solution to connectivity. Both years see a move to larger facilities and record growth in sales and customers. The support system is fine-tuned and increased staffing assures Atlantic Cables ability to respond to the expected rapid growth. Product selection has grown to include cables, adapters, bulk cable, accessories, mice, surge protectors, switchboxes, printer networks, converters and a complete line of modular products. Atlantic Cable also acquires the eastern distributorships for some key manufacturers. More quality manufacturers are added to the Atlantic Cable Line Card. The move to our bigger provides space for increased stocking levels of all products and the room for additional customer support personnel. These years were no exception to the constant, steady growth of Atlantic Cable. Expanding yet again our product line led to our continued prominence in the market. In 1998 we acquired a new larger building more customer support personnel, more technology available to assist our customers, and numerous new product introductions. A renewed commitment to the customer, technology, marketing and our employees has sparked another strong growth year. Atlantic Cable's growth has been extraordinary. We realized our original goal of becoming a local, service-oriented wholesaler, and, with our mix of products and award-winning service, we became the benchmark by which all other similar companies are measured. A new catalog and redesign of the website to make navigation and order placing faster and more user friendly, Atlantic Cable continues to strive toward total customer satisfaction. A new focus on the network installer and institutional buyer. Atlantic Cables sells only to re-sellers, installers and institutions. New website design to allow a better experience for our customers. Updated product pictures and descriptions added to ensure you are ordering what you need. Updated shopping cart and freight calendar to make online ordering easy.